Today, myself and three of my fellow Atlassian‘s walked up the street to the corner of 8th and Natoma, the headquarters of ECS and the CHEFs program. CHEFs is a program that teaches the homeless how to become cooks, preparing them for full-time jobs in kitchens throughout the Bay Area. Today, Phase 2 students prepared a three-course meal of salad, followed by paprika chicken over butter noodles, served with spinach and mushroom stuffed zucchini, finishing with a tiramisu pudding. This was the last meal Phase 2 would be preparing for their classmates before they moved into full-time internships as line chefs at various restaurants. Dressed in white chefs coats and seated at long tables, the other students ate lunch and critiqued their fellow classmates’ work. We were able to sit with the ECS employees that included the head of employment and placement, the IT manager and data analyst, the head of volunteering, as well as two of the head chefs and teachers of the course. We asked questions about the program, what it meant to them, how it worked, and the challenges they faced. The program is built to serve people that are either homeless, in shelters, or in half way houses. The requirements to get in are tough. You must have three professional references, a personal statement, and an up-to-date letter of recommendation, to name a few. But perhaps the toughest part for the students is simply making it through the rigorous coursework that requires 240 hours over seven months. The students attend a week long orientation in the beginning, where they cannot be late or absent in order for ECS to monitor them for acceptance into the program. If people can commit for a week, then they should be able to do well for the full course, they said. CHEFs loses about 30% during this first week. But those that do make it through the orientation and move on to the full program have nearly an 80% chance of getting full-time employment. And ECS is there every step of the way to ensure that they have all the resources they need to be successful. Some of the issues people face in the program are not for a lack of will. It’s usually more functional than that – like child care or medical issues. For those that do make it, the program is game changing. The program serves anyone from 18 to 75 years old, some of which have never even been to a restaurant before in their life. “We are teaching life skills in addition to a trade, how to communicate and behave in a professional environment,” she said. At the end of lunch, the fellow students took turns critiquing the dishes. They say their name, their phase, and what dish they specifically want to critique. Using descriptions like “delicate” for the zucchini and “bland” for the chicken, or as one student put it, “off the chain,” for the dessert. The woman standing next to her looked up from her conversation with the receptionist. A deep, raspy voice tumbled out of her mouth. “Keith is my man name,” she said. “It sure does get confusing!” They laughed, just like two girls in a nail salon. This was my introduction to the ECS’s Next Door Shelter at 1001 Polk Street. Kristin led the way to the cafeteria, flitting around like she was giving a tour of her home. Saying hi to the staff and “guests”, showing us the library that Mallory built. Her ease melted away my discomfort as we grabbed our hairnets and quoted Wayne’s World. Our tasks were just like you’d expect. Clean the kitchen, mop the floors and form an assembly line with other bright-eyed, food-serving volunteers trying to do their part for the good of mankind, or whatever. What I didn’t expect was how normal the people were that we were serving. They weren’t cracked out and haggard, they looked like anyone else, wearing flip-flops and ear buds, ironic t-shirts and Giants hats. These were just people, trying make it work. And then there is Mallory Hasick, Volunteer & Community Outreach Manager for ECS. Mallory has devoted the last 7 years — the better half of her 20s — to ECS, doing service for other people. A concept that is embarrassingly foreign to me. We were all there because of Mallory. I told her once I felt fundamentally opposed to feeding the homeless. It felt like I was just perpetuating the problem, adding more stick to the Band-Aid. It can’t be that impactful, I argued. So here I was, feeding the homeless, because of Mallory. This wasn’t a beggar, a deadbeat, a drug addict. This was just a man. And we were just two people, co-existing in the world, sharing a moment. I’ve lived in SOMA for the past 4.5 years. Over the last few months, I’ve noticed a significant increase in the number of people sleeping on the street and break-ins on my block (4th and Bluxome). Walking down Bluxome, you will find broken glass every 50 feet from recent theft. My wife I have personally just experienced some very troubling events. – Last week, my wife’s truck was broken into while parked on Bluxome. – Just today we were walking down the street when a mentally ill man approached us while yelling “i’m going to kill you! !” and then proceeded to follow us for a block. I called the police and reported the incident. There are now dozens of tents under 101 on 5th street. I’m not sure if the increase is due to the recent shut down of the homeless camp in San Jose or something else. Regardless, I want to know what is being done to address the problem. My roommates, my wife and I now feel unsafe in the neighborhood. It is getting out of control. Thank you for taking the time to email me regarding this issue. Regarding the auto theft and threat, I have cc’d our Southern Station Police Captain DeFilippo to follow up with you. Please do file a complaint with SFPD so that we can account for these types of incidents and in which locations. SFPD does disperse its officers based on data so it is always helpful to report them. Second, yes, with the increased construction in our District and increased residents reporting encampments along our freeway, our office is finding that homelessresidents are more visible and spread out than before. Many encampments have been taken down after complaints from our residents. 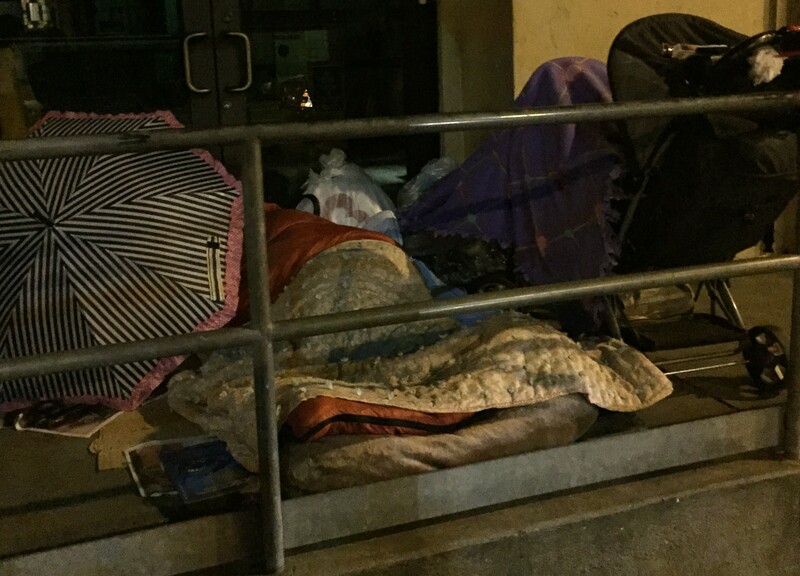 The City, in response, has opened a new temporary emergency shelter at 1950 Mission between 15th and 16th to serve our encampment population (groups, couples, homeless individuals with dogs and wheelchairs that our regular shelters cannot intake) this week. I hope this will help many of our homeless neighbors into shelter beds and eventually into housing. As you can imagine, many do not trust the City (we have limited shelter beds and the shelter system can be frustrating) and refuse our services. The new Navigation Center is a concerted efforts by many different CBO’s to reach individuals our traditional shelters have not been able to reach or develop relationships with. Please continue to report criminal incidents to SFPD and homeless individuals that need our help to the Homeless Outreach Team (dial 311). Thank you for taking the time to write me. Last night’s event was eye opening to say the least. Cheryl, Kristin and I had our heads spinning with ideas. Namely because it was obvious that there is a massive gap between what is being done and what could be done if technology and fresh thinking were at the table. Prime example is that the city and shelters alike have absolutely no way to track the people that come in and out of their beds or if the programs are actually working. The entire construct of “reserving a bed” is done through paper work in several locations throughout the city. And you can only reserve a bed 6 weeks in advanced, for up to 90 days, and sometimes for only a single night. The accelerator program Jane was referring too aims to only house people for 10 days, with no clear path afterwards. It is an interesting and innovative program, but still tons of room for improvement. Another massive gap is in the communication between the shelters, orgs and the city. Thirdly, funding is not as much of an issue as the access to the funding to purchase specific items. For example, ECS has been waiting to get pillows for their shelter beds. There’s no way for donors to see what specific items shelters need and purchase that item — you can only give cash and hope for the best. I see many, many opportunities here to utilize technology to connect shelters with one another, connect shelters and their immediate needs with the public (ie. a giving registry where instead of donating $1 to your local shelter you can buy the actual pillows), tracking of the actual homeless people via cheap cell phones or RFID bracelets, digital paperwork, a way to communicate new programs to people on the street, standing in line virtually rather than outside of the shelters, a central database for people sign up and volunteer, optimizing the jobs for volunteer’s actual skill sets (seems ridiculous to have an engineer sweeping floors at a shelter, doesn’t it? )… the list goes on. The name of the project is Don’t Look Down SF. This city is stunning, as long as you don’t look down. It’s time to fix that!